Roshni Power Projects offer clients a broad collection of Sound Proof Cabin at cost-effective prices along with high quality . Our professionals design these doors using high quality steel along with sound insulation material to ensure their long lasting nature. With highly driven technical excellence, we have been able to offer our clients a well constructed Sound Proof Cabins that are used in several rehabilitation centers and recording studios. In sync with industry defined norms, the offered cabins are constructed by our skilled professionals using high strength components and cutting edge technology. Furthermore, our offered cabins are available in various sizes, shapes and designs in order to fulfill clients variegated requirements. 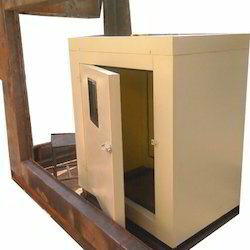 Riding on unfathomable volumes of industrial expertise, we are offering an interesting range of Sound Proof Booths that is widely used in various industrial places to avoid the external sound interface.Our skilled professionals use quality tested components and modern technology in sync with industry standards to construct this booth. To ensure its quality, this booth is tested by our experts against various parameters of quality. With rich industry experience and knowledge, we are manufacturing, trading and supplying a qualitative range of Sound Control Box. Our experts design these sound control boxes by top in class components in fulfillment with international standard. 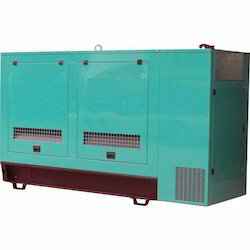 These sound control boxes are used in various industrial places to avoid the external sound interface. 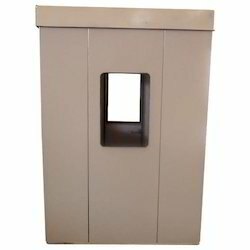 We offer these sound control boxes at reasonable price in a committed time frame. Looking for Sound Proof Cabins ?